Painted by James McNeill Whistler - circa 1881. 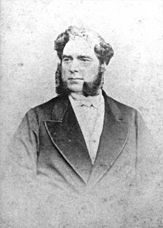 Captain John Francis Hyde - circa 1882. 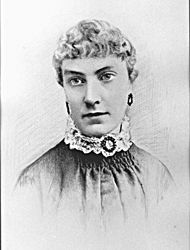 Marrianne Poppy Hyde - circa 1882. 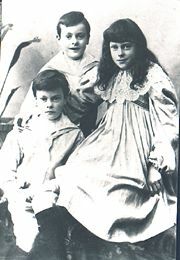 John (Jack), Howard and Gwendoline Hyde. Lady Meux and the twins. Two years after my grandfather's second wife, Liza Anne (nee Kitchen) died, he married Marrianne Poppy Armitage, on the 27th November, 1882. He was 59 and she was 26. They had five children. 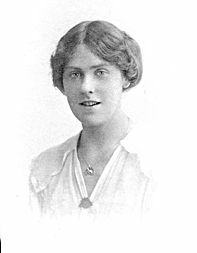 Gwendoline Poppy, was born on the 26th June, 1884; Twins, John Bassano and Howard Victor,4th January, 1887, and Violet Adeane, on the 21st January, 1891. 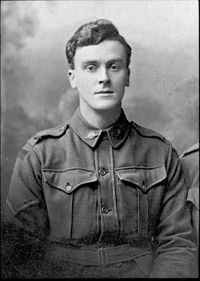 My father, Graham Hilary three years later on the 13th April, 1894. Gwen, Vi and Graham, inherited red hair from the Armitage side of the family, and the twins were dark and much admired by many people. My grandmother would dress them in Sables, when they lived on Theobalds estate. on the South Coast, and they were known as, "The Russian Princes", by the locals. After the civil war when all royal palaces were sold, the buildings at Theobalds Park were dismantled and what was left fell into ruins. A new Theobalds Park mansion, slightly to the west of the original, was built in 1763 by Sir George Prescott from Chester, who had then bought the estate. Sir George Prescott leased this mansion called Theobalds Park, located within Theobalds estate, to Sir Henry Meux in 1820. When the children were young, my grand-parents rented the Dower House from the Meux family. Lady Meux was a beautiful woman, married to a rich brewer and very much in demand to attend society functions, but the one thing she craved for, and couldn't have, were children. She adored the twins and pleaded with my grand-parents to let her adopt them; but although hard times were beginning to manifest itself, they would not part with the boys. Lady Meux became a god mother to one of them. Lady Meux's zebra drawn carriage: Lady Meux had one delightful eccentricity. She owned a pair of Zebras and would startle London Society, by driving herself, in a high phaeton, drawn by the two Zebras. The Meux's family moved Temple Bar from Fleet Street in London and reassembled it at Theobalds Park in 1889. This formed a splendid 'Front Gate'. 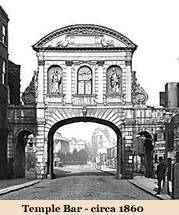 Temple Bar was one of the eight gates that surrounded the old City of London (the others were Aldersgate, Aldgate, Bishopsgate, Cripplegate, Ludgate, Moorgate and Newgate) and was the third Temple Bar, built in 1672. The bar was used to display heads of traitors on iron spikes that protruded from the top of the main arch. The last heads displayed were those of Townley and Fletcher, who were taken at the Siege of Carlisle and executed in 1746. It stood for over 200 years at the junction of Fleet Street and The Strand in London, near the Temple Inns of Court, until dismantled by the Corporation of London in 1878 and replaced by the present City Dragon structure. Ten years later the 1,000+ stones were bought by the Meux family and re-erected at Theobalds at a cost of over £10,000. While Temple Bar was in the ownership of Lady Meux she regularly entertained guests in its upper chamber; King Edward VII, The Prince of Wales and Winston Churchill are believed to have dined there. My grandfather was fond of gambling and was popular in London Social Circles. He was an acquaintance of The Prince of Wales, later to become King Edward VII, who liked gambling. The Prince would borrow money from him, now and again, and it is doubtful if grandfather was ever paid back. People in those days considered it an honour to assist the Prince in monetary matters. "He ended by working on three canvases, a regal Arrangement in Black, a Harmony in Pink and Grey, and a third which was never completed, for Whistler became too demanding in the number of sittings he wanted, and Valerie Meux, in sable coat and muff, grew weary of the rubbing down and painting out of portions she thought already sufficiently close to being satisfactory. Equally exasperated, Whistler said something impertinent and Mrs Meux warned, See here, Jimmy Whistler! You keep a civil tongue in that head of yours, or I will' have in someone to finish those portraits you have made of me!" Harper Pennington, Whistler's young friend of Venice days, was in the studio and recalled that "Jimmy fairly danced with rage. He actually came up to Lady Meux, his long brush tightly grasped, and actually quivering in his hand. . . ." Finally he managed a "How dare you? How dare you?" And Valerie Meux never sat again, nor did she ever see again the nearly completed portrait, which Whistler eventually destroyed, although Henry Meux had already paid for it." From Pages 267 - 268: Weintraub, S. (1974). Whistler A Biography. Publisher: Weybright and Tulley, New York. I would be pleased to receive any further information on members of the family. It is quite possible that photos of Lady Meux in her zebra drawn carriage exist and I would be most interested to see images of them. Acknowledgements and thanks to my twin sister Audrey Paterson (fraternal twin) for most of the written content.